The Isotope Magnet Experiment (ISOMAX) is a balloon-borne instrument developed to measure the isotopic composition of the light elements in the cosmic radiation, in order to understand it's origin, propagation and lifetime. The core of the instrument was a Helmholtz coil pair superconducting magnetic spectrometer and a 3 module drift chamber tracking system. The coils had an outer diameter of 79 cm and were separated by 80 cm face-to-face. The tracking system is based on a drift chamber design developed originally for the IMAX instrument. 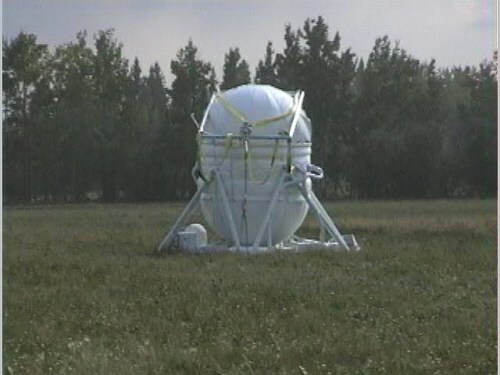 The 3 modules were separated by 2 spacers giving a total height of the tracking system of 150 cm. The drift chambers used a total of 480 hexagonal drift cells with a radius of 1.56 cm. These cells were arranged in double or quad layers with 16 layers in the bending direction and 8 layers in the non-bending view. The outer chambers were 69 cm wide while the middle chamber had a width of 47 cm. The chambers were operated with pur CO2 which has a slow drift velocity. The drift chambers were read out by custom-designed low power preamplifier/discriminator modules. The ISOMAX time-of-flight (ToF) was composed of 3 layers of plastic scintillators and provided the trigger of the instrument, determining the charge of the incident particles by dE/dx-measurements and measuring the velocity of the particles up to energies of about 1.2 GeV/nucleon. The top and bottom layers consisted of 5 paddles, each measuriong 20 cm x 100 cm and 1 cm thick. The middle layer consisted of 3 paddles (23 cm x 69 cm and same thick). Both ends of each paddle were connected to adiabatic, acrylic light-pipes which were attached to linear focussed photomultiplier tubes (PMTs). The PMT signals were then split: while one output was digitized by an Analog to Digital Converter (ADC) for the dE/dx-measurement with a high and a low gain, the other output was fed into leading edge discriminators, which used 2 threshold levels, providing both, the first level event trigger and the velocity measurement of the ToF. The Cherenkov detector consisted of 2 large diffusive-light-integration counters (88 x 88 x 14 cm). each containing two layers of silica-aerogel radiators (each 2 cm thick). The light was collected by 16 PMTs per counter. In order to cover the dynamic range of the light isotope measurement the PMTs signals were fed into charge sensitive preamplifiers with a low and high gain output, which were then digitized by ADC modules. The data handling and control was performed by a PC/104-format computer with an Intel x86 CPU. The instrument was fully commandable from the ground by a custom telemetry/frame-sync board. The whole instrument was contained inside a pressurized vessel, which was comprised of an aluminium midsection, which carried all the mechanical loads, and 2 flexible Kevlar domes. This was mounted over a platform which served sustained the bars that carried the mechanical load from the central ring. Also provided attaching points to mount the ballast container, flight electronics, crush pads, batteries, and all other elements that no needed to be enclosed in the pressure vessel. The instrument had a total weight of 2200 kg. 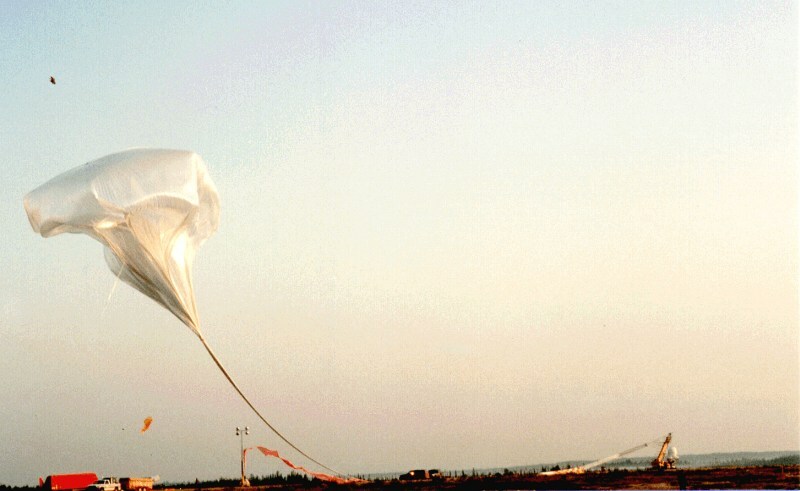 The balloon was launched using the dynamic method with the help of a crane acting as launch vehicle on the morning of 1998 August 4. 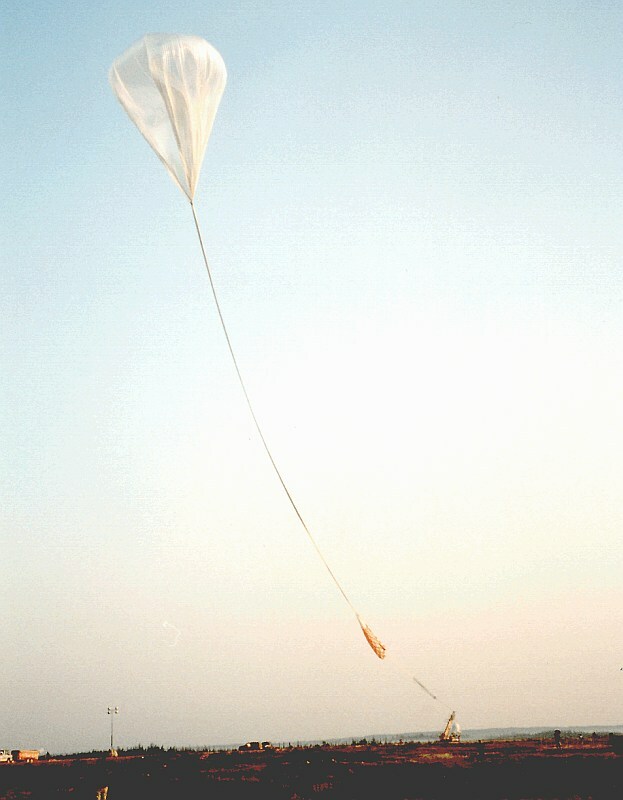 After a initial ascent phase the experiment reached a float altitude of 36 km roughly 3 hr after launched. The figure at right shows the flight profile. 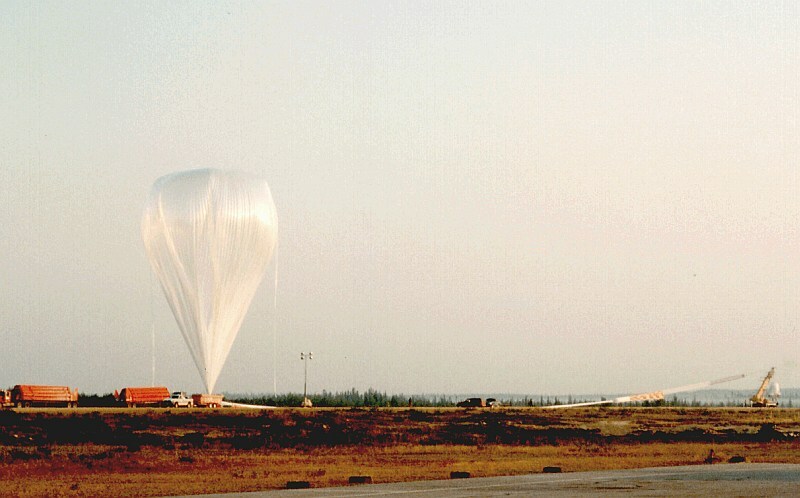 For 13 hours of the 29 hours of leveled flight, ISOMAX maintained a stable altitude but, on the early morning of August 5 the instrument drooped to 31 km while flying over a thunderstorm. This was the only incident of the flight. 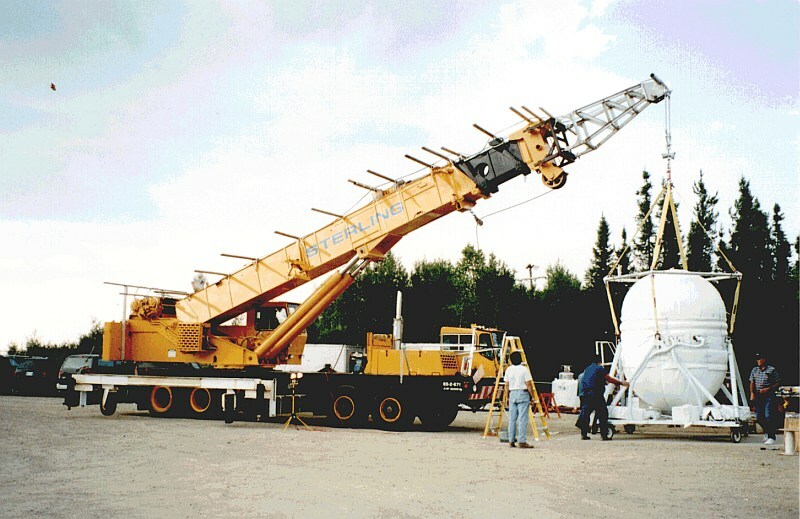 After termination, the instrument was recovered in excellent condition near Peace River, Alberta, Canada.